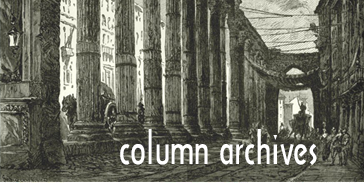 Well, dear readers, it is late and I must write these here notes, which I call the state of the union notes, in which I shall not give a state of the union address. Mind you, I could give a state of the union address, but what state would I choose – California? And what union? The DGA? SAG/AFTRA? You see the problem – choices would have to be made and it’s already late and therefore I must write these non-state of the union notes. Yesterday was a day I have little memory of. I got a tiny bit over eight hours of sleep, so that was nice. I answered e-mails, had some telephonic conversations, did a few things on the computer, and had a little visit with Grant Geissman. Then I went and picked up a package, then stopped at Jerry’s Deli, but I didn’t feel like sitting there for an hour so I got a tiny bit of lox, some bagels and cream cheese, and brought it back to the home environment. I ate it all up and it was good – haven’t done lox and bagels in probably ten years or more. I listened to some music, then got ready to go see a play. This wasn’t a production or anything, but it was blocked and everyone knew their lines. The play wasn’t my cup o’ tea, and even though it ran under two hours with the intermission, it seemed like three hours. After the play, I came directly home, where I finished the last of the lox on a bagel with cream cheese and had some Milk Duds for a sweet. 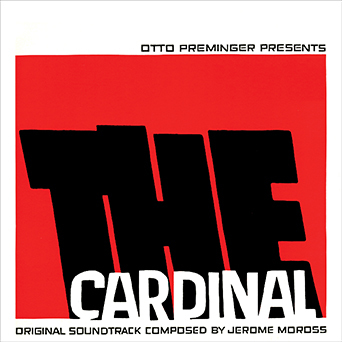 I listened to more music, had another telephonic call, and then we announced our latest limited edition soundtrack release, which is a treasure: The Jerome Moross score to Otto Preminger’s film of The Cardinal, which starred Tom Tryon, John Huston, Burgess Meredith, Carol Lynley, and many others. It’s a terrific score. We had the original first generation two-track album masters, so it’s much better than any other CD release (there was an RCA Spain import that didn’t sound too good), and we had the three-track original recording for some source music and the Robert Morse song that’s in the film – those sound even better. Plus, we found a bonus track on the three-track tapes – an instrumental kind of pop version of the theme, so we have that, too. I was hoping, of course, that we’d have the entire score from the three-tracks, but they don’t have those tapes anymore. Here is the cover. Today, I’ll sleep in again, then the day will basically be assigning songs for the March Kritzerland – if you haven’t figured out by now, our March show is a tribute to Mr. Michel Legrand, and it’s daunting trying to narrow down all the great song choices. I’ll hopefully pick up some packages, and then I’m supping with Muse Margaret and her ever-lovin’ Richard, which I’m very much looking forward to. The rest of the week is meetings and meals, Kritzerland show stuff, seeing two more shows, and preparing the next show release, which we’ll announce in a week or so. Well, dear readers, I must take the day, I must do the things I do, I must, for example, sleep in, assign songs (almost finished doing so), get singers music, hopefully pick up packages, and sup with the Jones’s. 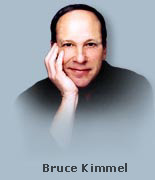 Today’s topic of discussion: It’s Ask BK Day, the day in which you get to ask me or any dear reader any old question you like and we get to give any old answer we like. So, let’s have loads of lovely questions and loads of lovely answers and loads of lovely postings, shall we, whilst I hit the road to dreamland, happy to have not given a state of the union address in these here notes.